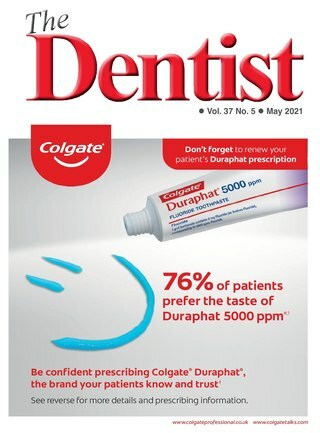 I wish to receive FREE copies of The Dentist regularly. I do not wish to receive FREE copies of The Dentist regularly. Is this address a Private or Corporate Practice, a Hospital or your Home? Which one of these best describes your position within your practice or company? Which one of the following job functions would you consider to be your main role? ONLY IF A DENTIST - Which of the following do you specialise in? ONLY IF YOU OFFER CAPITATION - Which providers do you recommend? Which one of the following best describes your business activities? ONLY IF SPLIT NHS/PRIVATE DENTAL PRACTICE - What is the rough percentage split between NHS & Private patient work? Which of the following equipment/materials/products or services are you involved in specifying/ purchasing? How many people are employed at this site? How many Associate Dentists are based at your site? How many Dental Nurses are based at your site? How many Hygienists are based at your site?